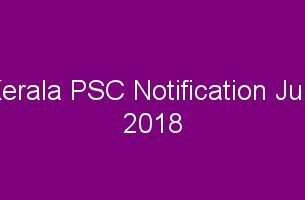 Kerala PSC has decided to issue the new notification for University assistant (category number : 215/2018) for recruitment to University Assistant post in various Universities in Kerala. 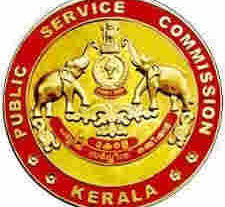 Candidates who want to apply for the University Assistant post can apply through the PSC website www.thulasi.psc.kerala.gov.in. The university assistant post recruitment is based on the OMR exam conducted by the Kerala PSC. The university assistant vacancies for all the universities in Kerala will be filled from the PSC University Assistant Ranklist. It is a golden opportunity for all the graduates in Kerala to get a University Assistant job. Vacancies, syllabus, notification and qualification etc are given below. How to apply for PSC University Assistant? 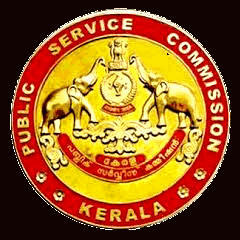 Candidates should apply online through www.thulasi.psc.kerala.gov.in on or before the specified date. Candidates who have registered shall apply by logging on to their profile using their User ID and password. 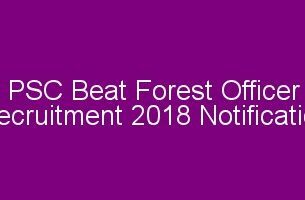 Candidates shall click on the “Apply Now” button of the respective posts in the Notification link for applying for a post. Qualifications A Degree in any faculty from a recognised University or its Equivalent. Numbers Test of Divisibility, H.C.F and L.C.M, Simplification, Ratio and Proportions, Percentage, Interest, Time and Work, Time and Distance, Area, Volume, Calendar, Clocks, Trains, Trains Problems on Age, Etc. Calculation and Logic, Coding and Decoding, Classification, Synonym, Antonym, Letter and Number Series, Odd Man Out, Analogy, Common Sense Test, Alphabetical Arrangement of Words, Date and Calendar, Sense of Direction, Etc. Important Words, National and Regional Events Related to the Political and Scientific fields, Sports, Cinema and Literature etc. History of India, Period from 1857 to 1947 – National Movement, Etc. Basic Facts, Features, Citizenship, Fundamental Rights and Duties, Directive Principle, Union Government, Legislature, State Executive, Union Territories, Apex Courts, Comptroller and Auditor General, Public Service Commissions and Other Important Offices, Important Amendments, Etc. Rights, Right to Education, Human Rights, Human Rights Commission, Right to Information, Information Commission, Social Audit, Lokayukta, Ombudsman, Women Empowerment, Women’s Commission, Legislation against Child Labor and Atrocities Against women and Scheduled Castes and Scheduled Tribes, Etc. Grammar, Agreement of Subject and Verb, Confusing Adjectives and Adverbs, Comparison of Adjectives, Correct usage of Articles, Prepositions, Direct and Indirect Speech, Active and passive Voice, Correction in Sentences, Etc Vocabulary, Gender, Singular and Plural, Synonyms, Antonyms, One word Substitute, Problem Concerning Words, Idioms and their Meanings- Etc. Fundamentals of Computers, Internet Etc, Cyber Laws.